Impress your guests at birthdays, ballgames and holidays with juicy burgers, veggie skewers and more – all cooked to perfection on your new outdoor grill from Ace Hardware. 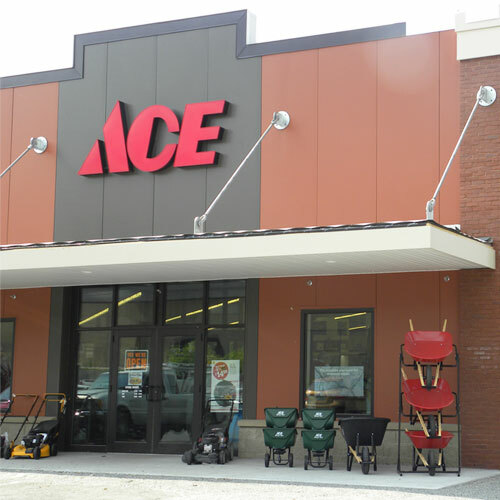 From sizzling special occasions to easy, delicious everyday meals that you can make in minutes, Ace Hardware has the barbeque grills, smokers and accessories you need to be a true pit boss. Whether you're already a certified grill master or just searing your first steak, get all the equipment to fulfill your BBQ grill fantasies right here, and you'll be everyone's favorite host in no time. Choosing a barbecue grill is personal. Beyond your own eating habits and schedule, understanding the many styles of outdoor grills and what each can do for you is crucial. Check out this video or browse through our buying guide for grills and outdoor cooking equipment for expert advice on how to choose the right barbecue grill for your lifestyle and needs. Learn the ins and outs of outdoor grills and what each kind can bring to the table. Then, browse our wide selection of BBQ grills and outdoor gourmet grills, read customer reviews and compare different features to find your perfect match. Grilling accessories that make all the difference. Find grill utensils, covers, carts, cookware, charcoal, lighters, flavorizer chips, BBQ sauces, seasonings, cleaning supplies and parts. After you've found the perfect BBQ grill and accessories to get started, make it the focal point of your backyard. Check out our ideas for creating your outdoor space. Learn how to make your grill area as appealing as possible, and get inspiration for outdoor seating and entertaining. Your new grill is an investment that deserves to be cared for. Make sure you know how to deep clean your grill and remove any heavy residue left behind after each use. Whether you're ready for a grilling marathon or want an easy way to elevate each meal, Ace Hardware has everything you need to get cooking on your new outdoor grill.